The Church of Jesus Christ of Latter-day Saints is unique among Christian churches in its belief that there is a modern prophet of God on the earth today. 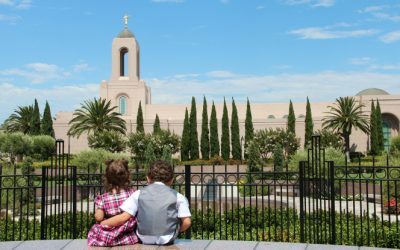 Mormons believe their faith is a restoration of Christ’s New Testament Church, and they therefore build temples just as Christians did in ancient times. Missionary work is a corner stone of the Mormon Church. Mormons have been taught through the scriptures that it is their role to “teach all nations” the truthfulness of Jesus Christ’s message. 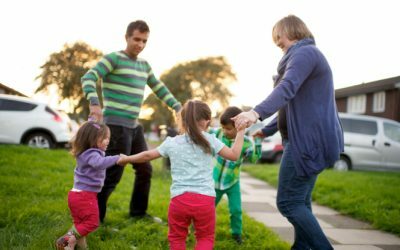 Mormons believe that having a family is one of the most important things we do on this earth. Finding joy and true happiness is the quest of a lifetime— and the reason for our mortal journey. But what does it mean to live after the manner of happiness? Find out here. How do we face the uncertainties and complexities of the world today with faith not fear? Find out here. Strong, happy marriages produce strong, happy families. Why is this important? Find out here—and what we can do about it. Religious freedom is taking a back seat in America’s shame culture. It’s time to bring it back into the driver’s seat. Find out why here. 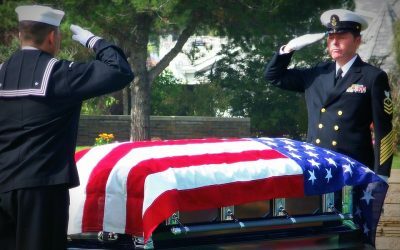 Let’s not forget to remember why Memorial Day is so important—and it doesn’t have anything to do with summer. Find out why here. 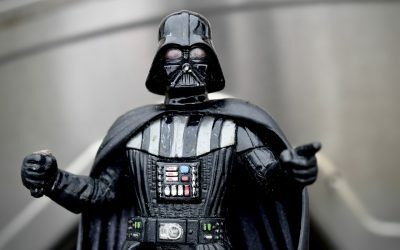 The “Star Wars” saga is more than an entertaining series of stories—it provides life lessons on the power of choice and how our decisions lead us to the Light or the Dark Side of the Force. 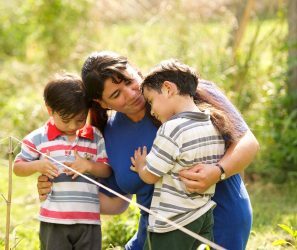 Communication is key to successful relationships—including between parents and children. 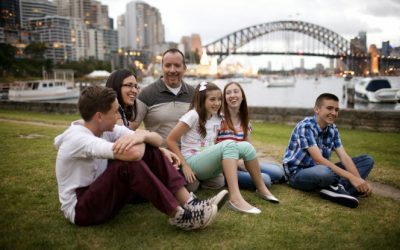 Here are 13 reasons (give or take) why you should talk to your kids. We can find the peace of Easter amid the taxing burdens of April when we focus on Jesus Christ. Find out why here. The sword of the Spirit and the shield of faith round out our spiritual armor and prepare us for the fight between good and evil. Just as ski helmets protect skiers’ heads, our spiritual helmet—and the rest of our armor of God—protect us from the fiery darts of the adversary. Gaining a testimony, conversion and becoming like God are important concepts to Mormons. Find out why. Mormons believe in the same path to eternal life that the Savior taught while on the earth. Faith in the Lord Jesus Christ enables believers to progress in following the Savior and in becoming more like Him. It is the prerequisite for all positive action and the pathway to genuine spiritual growth. It implies belief in the perfect attributes of the Savior: His omniscience, mercy, justice, and sovereignty. With faith in the Redeemer comes a recognition of our dependence on Him and on His atoning sacrifice–for remission of our sins and for the sustenance, comfort, and remediation of our sorrows. 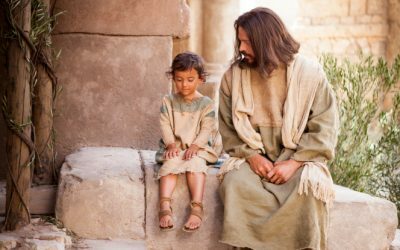 We apply the atonement as we repent sincerely, and as we apply it, His grace enables us to overcome weaknesses, heal from pain and trial, and to find peace and rest in Him. Even our deepest traumas can be healed though His atoning power. Additionally, as each repentant believer evidences a willingness to comply with the Savior’s prescribed pattern for entrance into His kingdom, he or she enters the waters of baptism. Baptisms are performed as the Lord exemplified, by immersion and by one who holds priesthood authority. Following baptism by immersion comes the laying on of hands by one in authority who bestows the gift of the Holy Ghost. This gift is an increased measure of the light of Christ that dwells in every person who comes to earth. It is the right to the constant companionship of the third member of the godhead, a personage of spirit, even the Holy Ghost. This gift is invaluable, for through the Holy Ghost, we receive the mind and the will of God for our daily walk, and gain access to every spiritual gift the Lord can bestow on His worthy followers. For Latter-day Saints, mortal existence is seen in the context of a great sweep of history, from a pre-earth life where the spirits of all mankind lived with Heavenly Father to a future life in His presence where continued growth, learning and improving will take place. Life on earth is regarded as a temporary state in which men and women are tried and tested — and where they gain experiences obtainable nowhere else. God knew humans would make mistakes, so He provided a Savior, Jesus Christ, who would take upon Himself the sins of the world. To members of the Church, physical death on earth is not an end but the beginning of the next step in God’s plan for His children. 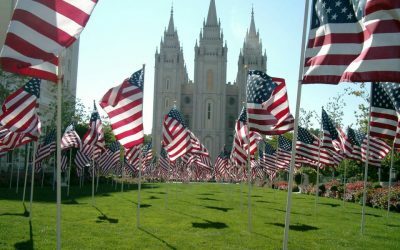 Mormonism 101:FAQ, Mormon news. Mormons believe that God, our Heavenly Father, has a plan for each of us. He knows us individually and will help guide and direct us through our lives. We have divine purpose. We were sent here to receive physical bodies. Before we came to earth, we dwelt with our Father in Heaven lacking bodies of flesh and blood; in other words, we were personnages of spirit, or Heavenly Father’s spirit-children. Therefore, God is literally our Father in Heaven. We were sent to this world to gain experience, to learn to distinguish good from evil, to learn and grow through the choices we make as we “act and are acted upon” in mortality. Vital to our experience is the gift of agency. No soul is coerced to follow the path the Savior marked. Because of the gift of agency, we feel consequences of our own actions as well as the consequences of others’. With a veil of forgetfulness provided that keeps us from remembering our lives as the spirit children of God, we are called to live on the earth in faith. Through making wise decisions, we strengthen our faith and commitment in Jesus Christ and He, in turn, endows us to find joy and to become more like Him. Mormons believe that Heavenly Father’s plan was instituted eons ago, before this earth was created, and that He has revealed His plan through His prophets to His children on earth since the beginning of time. 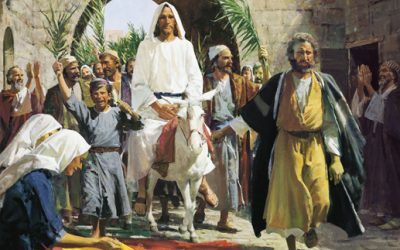 Mormons believe that all the prophets, beginning with Adam, have understood this plan and taught it to mankind, including that a Savior would be provided. These teachings were once a part of the Old Testament and found in other ancient records. Therefore, the true gospel has been found sporadically on the earth wherever and whenever people have listened to the prophets. Because of a dirth of prophets since the death of Christ’s apostles, the true gospel had to be restored. Mormons believe that the Church of Jesus Christ has been restored to the earth with its pure and complete teachings, ordinances, and divine authority to help each of us come to Christ and be perfected in Him. The Church of Jesus Christ was restored to its fullness through Joseph Smith in 1820. As a fourteen year old boy, Joseph Smith went into a grove of trees in Manchester, New York, and prayed to know which church he should join. It was then that Joseph Smith had what Mormons call the “First Vision.” Heavenly Father and Jesus Christ appeared to Him and told him he was not to join any of the churches. Instead, he was to restore the Church of Jesus Christ. Through instruction from an Angel named Moroni, Joseph Smith found and then translated the Book of Mormon, a record of ancient inhabitants of the Americas. 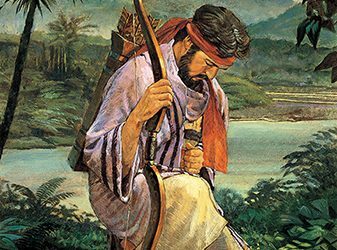 The Book of Mormon peoples were descendants of Jacob, who were led out of Jerusalem at the time of the Babylonian captivity. They were led to the Americas by the Lord; they kept the Law of Moses, looking forward to the coming of the Messiah. Their prophets testified that Christ would be born to a virgin, and would be crucified for the sins of the world. Christ visited these peoples after His resurrection. Joseph Smith spent his life acting as missionary and leading the church as a prophet. The restored Mormon Church has the same teachings and organization as the Church established by Jesus in New Testament times. Revelation through a modern day prophet has helped the church adapt to modern demands and cultures. At the core of a Mormon’s testimony is faith in God, Jesus Christ, the Holy Ghost, and Joseph Smith’s restoration of the true church on earth. A basic belief in these truths is the foundation of a testimony of the Mormon Church. Mormons believe and strive to follow the Ten Commandments and the Articles of Faith, which outline more basic Mormon beliefs. Because members of the Mormon Church believe in a modern day prophet, they are open to revelation from the Lord to change or expand the Church. Membership in the Mormon Church influences every aspect of the lives of its members. Mormons follow The Word of Wisdom, a commandment that forbids drinking alcohol, coffee, tea, or using tobacco or illegal drugs. 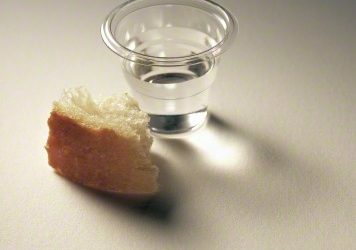 The law of tithing was later given to the people. Mormons believe in dressing modesty. Mormons refrain from recreating or shopping on Sundays in order to keep the Sabbath Day Holy. Living the Mormon lifestyle is easy when one has a true and strong testimony of the fundamental beliefs of the true and revealed gospel. Living these commandments brings joy and stability, freedom, and safety to followers of Christ. Why did Mormons practice plural marriage (polygamy) in the 19th centuries?